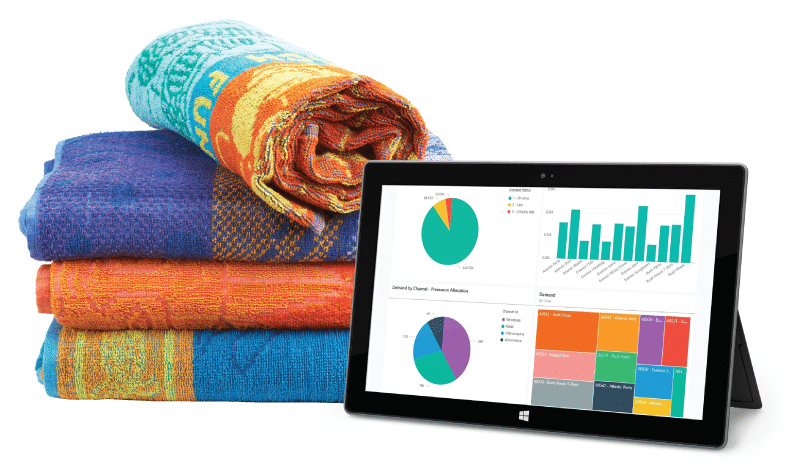 Globalization, delocalized production, backward traceability, and multidimensional item complexities are nothing new in the textile industry. Maintaining effective communications, visibility, and control over sourcing and operational platforms that transform fibers into finished goods is a must for enhancing profitability and building a competitive advantage. With most operations outsourced to China, Pakistan, or other opportunistic countries, some specialty coated and medical textile manufacturing may still reside in the United States, and sophisticated traceability of the whole supply chain is essential. 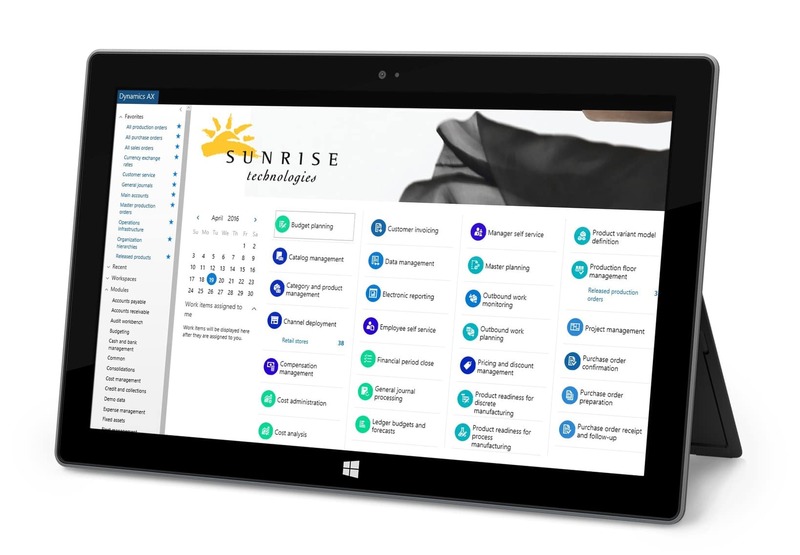 You can have it all with a combined ERP + CRM solution from Microsoft, with industry solutions from Sunrise. We hate to break it to you, but your aging legacy system may be hindering your company from responding to market opportunities. 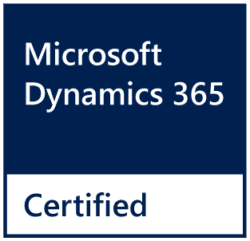 Luckily, Microsoft Dynamics 365 offers an integrated solution that reduces manual processes and expands the flow of information across supply networks, distribution channels, and within the organization itself. With “Made in America” increasingly difficult to come by, most successful textile companies have had to expand globally out of necessity. To support country-specific regulations and currencies while also supporting different business models, as well as open up new doors through various sales channels, you need to transform the way you do business with technology. 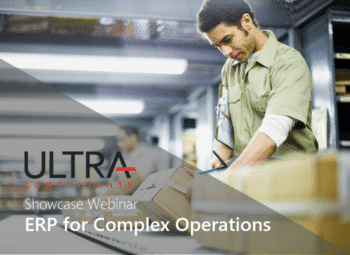 It’s hard to believe that a single ERP and BI system could let you have it all, without all the cost and complexity. Believe it! 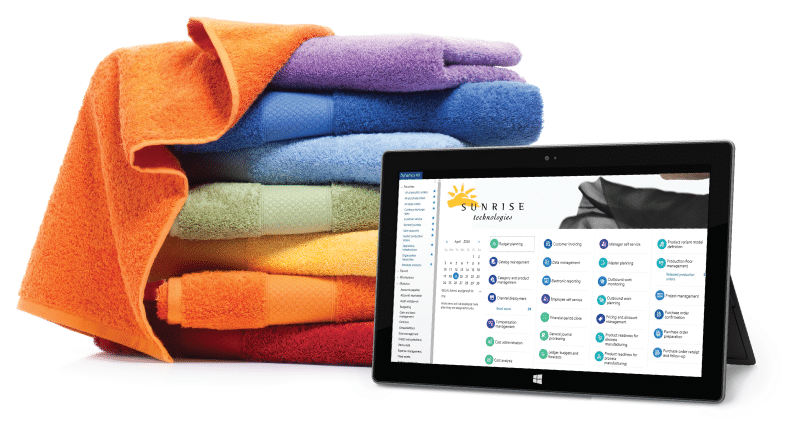 By choosing Microsoft Dynamics 365 for textile manufacturing, implemented by Sunrise, you’re not just getting the only Tier-1 ERP and BI solution that is perfectly suited for handling textile complexities. 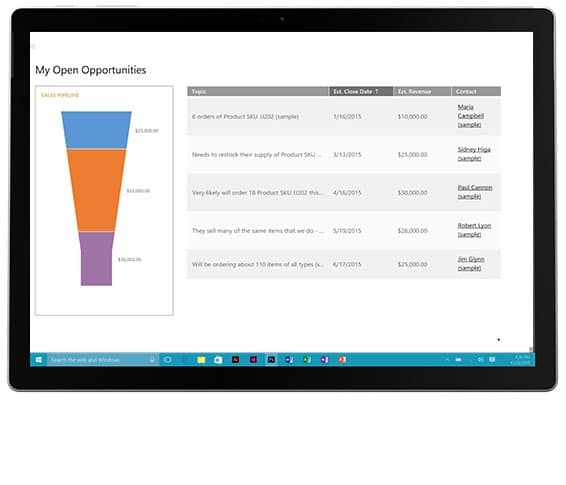 You’re also receiving an unrivaled blend of experience, best practices, industry solutions, and support that ensures that this is the last ERP + CRM solution with built in analytics that you’ll ever need. DO YOUR PRODUCT LINES STRETCH BEYOND TEXTILES? or sign up for one of our monthly demos!